See scan - perfect and nearly UNC condition and detail for this scarce Imperial Russian Liberation of Bulgaria medal. 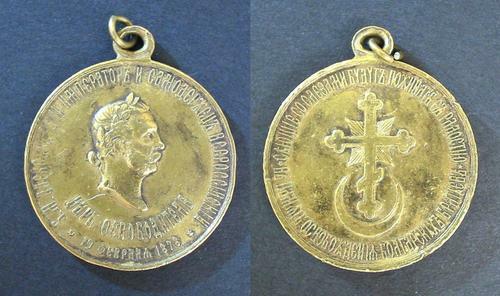 Awarded to participants in the Russian - Ottoman Turkish war, which provided Bulgarian freedom. Extremely nice and rare Russian Imperial medal. Front is the portrait of the Russian Emperor / King Alexander II. This medal has a catalogue value of 400$. Lifetime Guaranteed Authentic. Scarce and very rare military / militaria collector item and one of the rare Imperial Rusian medals.